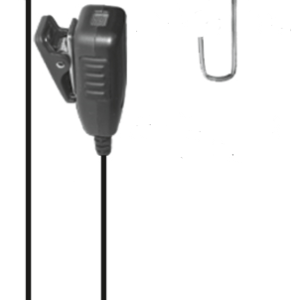 earHero One-Wire Surveillance Kit is both professional and efficient for a diverse assortment of industries all the way up to high level security . Minimize all the bulky wires running under your clothing. 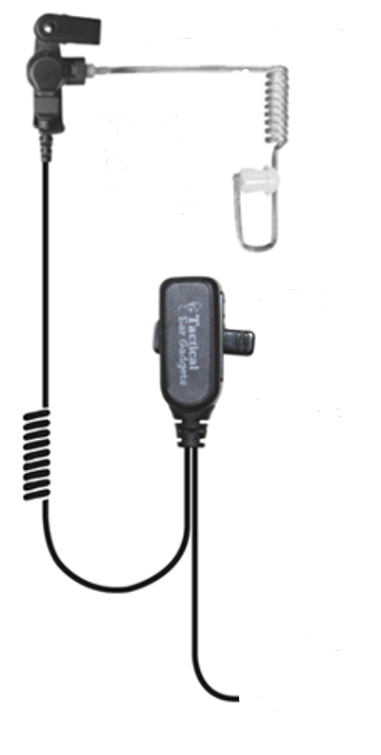 Discrete lapel mic can be hidden under you jacket or tie. Add the earHero earphones for more stealth and comfort. One-Wire Professional Coiled Tube Kit-a designed to minimize all of the wires of the traditional 2 and 3 wire kits. Use with the earHero earphones. 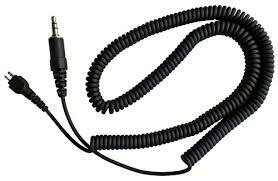 One wire comes from the radio to the mic to the ear piece. The microphone fits comfortably in your hand and offers an easy-to-feel rubberized push-to-talk (PTT) button. 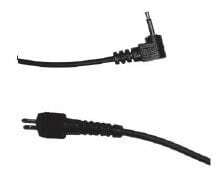 The cable is long enough for any body type. Extra strain relief added, for less tension at the connector. Kit is delivered complete with clear acoustic tube earpiece.